Tucked away in a semi rural location and with substantial, beautifully maintained park like gardens, this stunning thatched country house boasts charm, character and family friendly accommodation along with swimming pool and excellent transport links to Exeter, Plymouth and beyond. Nestled on the edge of beautiful Dartmoor National Park with some lovely views to the front is this 5 bedroom detached house requiring some updating but boasts generous family accommodation located in a highly sought after area giving easy access to the A38. Set in gardens of approx 0.4 of an acre. Superbly appointed and lovingly restored late Victorian House overlooking Torwood Gardens just a short amble to the vibrant Harbour, Marina and shops. This spacious home is arranged over three floors retaining many of its original features yet providing quality modern and contemporary finishes. Located in a sought after cul-de-sac on the rural outskirts of Higher Sandygate, this detached four bedroom family home has been lovingly updated and extended and enjoys a ‘wow` factor kitchen, lawned gardens and driveway parking. Presented in immaculate condition throughout, this attractive modern detached home boasts three double bedrooms along with a stunning kitchen dining room opening onto a level, south facing rear garden. 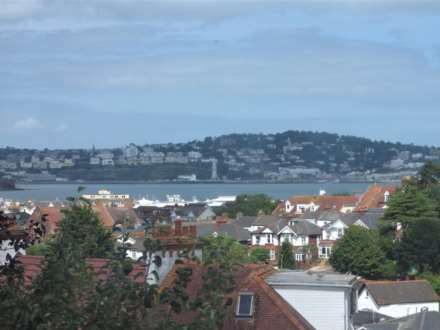 Lovely detached home enjoying some views across Torbay to Lyme Bay from the bespoke kitchen, dining area and living room. There are three double bedrooms with the master having an ensuite shower room. Petty enclosed rear garden. Driveway parking plus a garage. Being offered in immaculate condition is this superb spacious mid terrace bar conversion which offers three bedrooms with the master having contemporary ensuite facilities, country style kitchen plus a conservatory to the rear, sitting room and a study/fourth bedroom. Garage and parking. Gardens. This is an immaculate and spacious 3 bedroom home set in desirable village location, cosy in winter with under floor heating & log burner, a delight in the summer with tri-fold doors onto decking and landscaped gardens, Oak beamed double garage & ample parking approached via gated driveway.